The UPnP Forum have established a printer device class in the early days of this standard and have provided an “improved-printing” service for this device class. This was an attempt to allow a device to print text, Webpages and photos without the need for the device to have printer-specific drivers. I know that a lot of Hewlett-Packard’s network-enabled printers in the Photosmart range like the Photosmart Premium Fax C309a support this functionality. 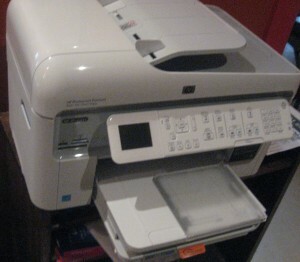 This also includes the HP Envy 100 printer which I have just reviewed. Some other manufacturers like Epson may support this functionality in a few of their products. The reason that there is inaction concerning the UPnP Printer device class is that there aren’t enough client devices that properly support this function. So far, some of the Nokia phones that work on the Symbian S60 Third Edition platform like the N95 and N85 can print photos to these printers using this platform. But I know of no other devices or platform apps that exploit this functionality. An increasing number of manufacturers are moving towards the use of device platforms like Android and Maemo as the baseline operating system for embedded-platform devices like set-top boxes, PVRs and TVs as well as smartphones and tablet computers. These platforms typically use “apps” as a way of adding functions to the device, effectively turning the device into something that resembles a general-purpose computer. These “apps” are typically written by third-party developers and provided through an “app-store” or similar menu that is hosted on the device, either for a low cost or, in a lot of cases, for free. These platforms, save for the Apple iOS platform, don’t have a printer-interface function that these apps could exploit and what is happening is that printer manufacturers are writing photo-printing apps for these platforms that work with their devices. They can support the UPnP Printer Device Class as a printing interface rather than reinventing the wheel for this function. As the tablet computer becomes increasingly popular amongst home and small-business users, there will be a requirement to turn out hard-copy from the apps loaded on these devices. Examples of this include printing emails or chapters from ebook apps to printing out photographs taken using the device’s integrated camera. 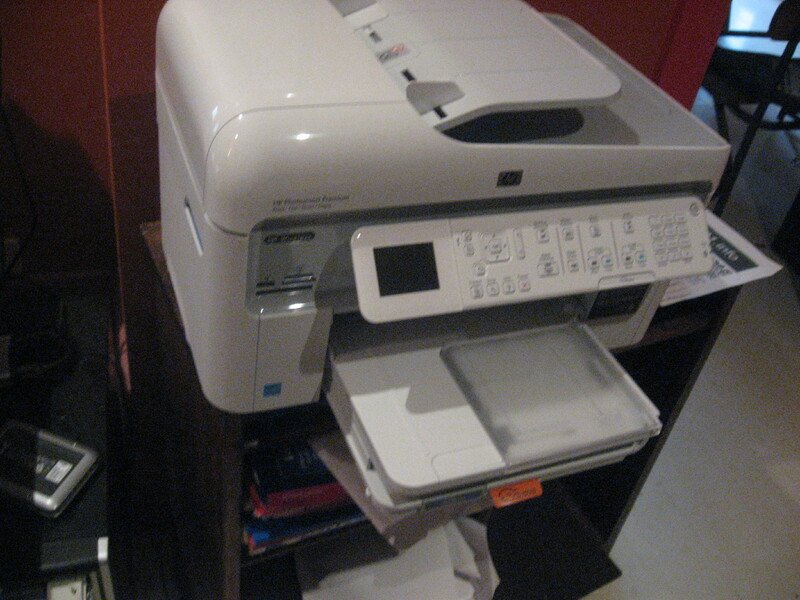 At the moment, the iPad can work with AirPrint-enabled printers like the HP Wireless-E B110a, the HP Envy 100 and the HP Colour LaserJet CM1415 that have been reviewed in this site. Windows 7 tablets can use the conventional driver-based Windows printing platform but Android and WebOS tablets don’t have an integrated printing platform. 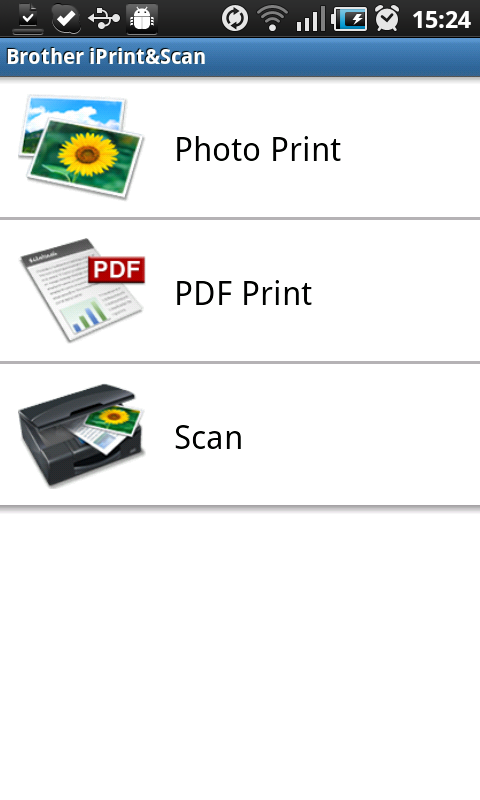 Access to the printers for these platforms is through photo-printing apps which are limited in purpose because they only print photos or, in some cases, PDF files; and are also tied to particular manufacturers’ printers. If Google, HP or other companies who are behind tablet-computer and smartphone operating systems implement the UPnP Printer Device Class, they can add a driver-free printing ecosystem to these operating systems. As the TV set becomes integrated with the Internet, there will be an interest in interactive TV. This will allow the viewer to interact with broadcast material using their remote control. Initially, it is being used with some broadcast-TV set-top boxes that use a cable-TV or dial-up-modem return path to facilitate purchasing of pay-per-view content or increasingly to allow viewers to register votes when they watch panel shows or talent quests. The Internet path is increasing the interactive TV abilities through the delivery of extra material to the viewer, thus permitting concepts like “catch-up TV” and on-demand availability of extended interviews and supplementary material. It is being augmented by set-top boxes, PVRs and TV sets (especially the main-lounge-area ones) being equipped with network connectivity. The UPnP-enabled printer can work well with Interactive TV by offering a hard-copy option for editorial and advertising content. In the case of editorial content, this could lead to the availability of factsheets, end-of-show leaderboards and similar material. The best example of this would be MasterChef, the popular cooking-based reality TV show. In a typical season, there are many recipes that will appeal to one’s tastebuds and may “fill in the gap” for a cooking situation that may be particular to one or more viewers. Here, the viewer would have to go to the MasterChef website using their computer and search through the recipes for the one that interests them in order to print out the hard copy they need to work from when they build their shopping list and when they cook the dish in the kitchen. It could be made easier by the viewer pressing a button on the Interactive TV remote control while the recipe is being cooked to have that recipe printed out, or obtain a recipe list for this current episode so they can choose what to print out. Even the commercials could be augmented with “print-to-redeem” coupons, “specials lists”, factsheets and product-disclosure notices that the viewer can print out at the touch of a button when they see the ad. This can be extended to programs like game shows or talent quests that exploit viewer participation and use “print-to-redeem” coupons as incentives for viewers who participate in these shows. Games and apps that are part of the interactive TV experience can be augmented with hardcopy options. Examples of this could be skill-based games that reward users with prizes for successful completion or being at the top of the game’s leaderboard; or apps that provide hardcopy information on demand. Companies who are behind interactive-TV platforms like those involved with Internet TV could implement UPnP Printer Device Class in order to open up the possibilities offered with hard copy for Interactive TV. The UPnP Printer Device Class offers the ability for a connected electronic picture frame or digital camera to print snapshots through an existing home network rather than having to use “peripheral connections” like USB or Bluetooth. This can avoid the need to locate a frame that receives “new” images via email or online services near the printer to print out the snapshots. Similarly, one could print out snapshots taken with a Wi-Fi enabled digital camera or mobile phone without worrying about whether the camera will work with the printer. This would be more acceptable for people who like creating “picture walls” from special events that they host. These “picture walls” are collections of pictures of the event taken by guests that are stuck to large sheets of cardboard. But there are more applications like the ability to obtain a copy of a “dashboard” screen from a monitoring device through to “on-demand” news-printing from other devices. It also means that the UPnP Printer Device Class can open up paths for innovation when it comes to the functionality roadmap for a device targeted at a home or small-business user. As well, the UPnP Printer Device Class can also be useful as a “generic printer driver” for general-purpose computers so that basic text and graphics print jobs can be turned out without the need for awkward print drivers. What needs to happen is that companies need to get serious about implementing this device class in their printers, computers and network-enabled devices.